New Delhi: Finance minister Pranab Mukherjee said on Friday that the economy may expand at more than 7.5% in the fiscal year to March, formally lowering the official forecast, while pledging the government’s commitment to stay on the course of reform to spur growth. His statement came as the government’s move to allow greater participation by foreign investors in organized retail has been met with vociferous protests by the opposition, stalling Parliament. It’s the first time Mukherjee has put a number to the growth estimate for the gross domestic product (GDP) after the budget presented in February projected that Asia’s third largest economy would grow 8.75% in fiscal 2012, plus or minus 25 basis points. One basis point is one-hundredth of a percentage point. The minister has previously hinted that growth may fall short of 8%. India’s GDP expanded 6.9% in the three months ended September, the lowest in nine quarters, the government said on Friday. Thirteen interest rate increases since March 2010, stubbornly high inflation at 9% and the growing risk aversion of investors have contributed to the slowdown, together with the fallout from the debt crisis in the euro zone. Indian equity indices have fallen almost 20% this year and the rupee has depreciated around 15% against the dollar. Indicating the fiscal pressure faced by the Congress-led United Progressive Alliance (UPA) government, Mukherjee said he was not in a position to match the level of stimulus provided by the government in 2008 to bolster economic growth. “However, certain policy changes can improve the situation," he said. “There should be a national consensus on the programme initiatives." Kaushik Basu, chief economic adviser to the ministry of finance, who spoke later at the same conference, said growth is likely to revive at the end of the year, although he expressed concern over the slowdown in investment. He said the previous years of heavy investment will stand India in good stead and that this, too, was likely to recover. “Despite the fact that we are going through a phase of turbulence, the Indian economy will pick up and grow," he said. “One has to remove the administrative stumbling blocks which will provide a boost...I expect the economy to...pick up in the final quarter of the year." The finance minister’s comments disappointed some businessmen. “Obviously, there is a trade deficit nearly up to the 1991 level," said entrepreneur Pawan Kumar of MCW Wireless. “But he did not spell out a strategy to overcome that. There was no vision nor resolve in his speech. He did not say how he is going to increase revenue and the indication that there may not be a stimulus package was disappointing." Mukherjee’s growth projection looks optimistic, said D.K. Joshi, chief economist at credit rating agency Crisil Ltd, who has pegged growth at 7.2%. More important than this year’s growth are measures aimed at safeguarding economic expansion in the next fiscal, he said. “Stronger recovery has to be led by monetary policy as well as effective (government) policy action, which will reassure investors and growth potential will not come down further," he said. Mukherjee, the government’s chief troubleshooter, defended the move to open up organized retail and took a swipe at critics. “Global experience shows that organized retail with well-integrated supply and cold chains can significantly cut down on post-harvest wastages, while providing better returns to farmers and more competitive prices to consumers," the finance minister said in his speech. “That needs appropriate technology and investments on a large scale." Basu also defended the liberalization of retail FDI, saying that it would benefit farmers and consumers, besides having a probable dampening effect on inflation in the short term. Mukherjee also cited this as benefits of the reform measure. “In the absence of timely action, or no action at all, it is the farmers and the consumers who would suffer and the nation would miss out on an opportunity," he said. “Despite this recognition, often narrow political gains take precedence on an early implementation of a policy framework, even when it is being done in a calibrated and sensitive manner." 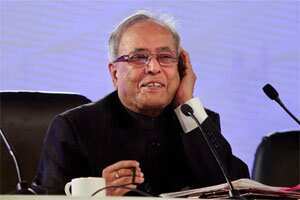 Mukherjee, however, expressed confidence that a middle path could be found. The government is holding discussions with all parties, he said. The cabinet decision is only an enabling provision that state governments could use to attract investment in the retail sector, he said when asked whether the UPA was willing to face a vote in Parliament over the issue. “One has to keep in mind that the states have the authority to issue trade licences, provide land, and the ground to be implemented should be laid by the states," Mukherjee said. Political opposition should not block “others who want to implement" the decision to allow foreign store chains, he said. “I hope I will be able to persuade those who are opposed," he said. Basu said a public debate was important in a democratic system. “When big changes take place, there will be a short period of turmoil," he said, adding that the country has sufficient safeguards in place to make use of such reforms to its advantage. Expressing his “worries" over the disruption of Parliament, Mukherjee, the leader of the Lok Sabha, said lawmakers needed to start functioning again in order to approve key reforms such as the Pension Fund Regulatory and Development Authority Bill, apart from legislation relating to the banking industry. “Let’s do legislation inside and let’s fight outside," he said. The finance minister said it would not be possible to insulate India from the global slowdown completely. “Volatility in the stock market and the fall in FII (foreign institutional investors) investments have a direct impact (on the Indian economy)," he said. “FDI inflow is much better than last year, but FII outflow is an area of concern." FIIs have sold a net $500 million (Rs2,570 crore today) of Indian stocks so far this year, compared with last year’s net purchases of $29.4 billion. Asit Ranjan Mishra contributed to this story.